Transform Your Landscape…..... We Build Your Ideal Outdoors! 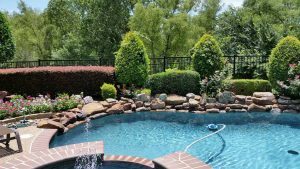 Ideal Landscape Services, Inc. is a professional full-service landscape design and build company with years of experience. We specialize in custom design and installation of residential and commercial landscapes. Ideal Landscape Services is family owned and operated serving homeowners in Fort Worth and surrounding cites. Let us help you design your landscape to create an oasis for your home. A well designed and properly installed landscape can increase your property value by up to 17 percent! We believe that you, the client, are an essential part of the design team. Our goal is to help plan, plant and grow a successful, low-maintenance solution that yields positive effects on our environment and is ascetically pleasing. If you aren’t sure where to even begin, don’t worry, because you’ve found us! We’re experts at analyzing your current situation and making recommendations specific to YOUR home and YOUR property and YOUR budget. Have you ever noticed how few trees there are in Northwest Tarrant County compared to in and around the Mid-cities? Even though there only a few miles apart, the soil conditions are very different. Even the wind has an effect on the conditions at the property. While we can’t arbitrarily change these external factors, we know how to evaluate them, manage them, and succeed. Professional landscape design in Fort Worth will retain the value of your investment as well as increase the value of your property. Ideal works with the customer to create a landscape design that matches the house, the property and the customer's budget. While we plan for a low-maintenance solution, it does require the proper amount of irrigation and attention. We’re can either coach you as to the recommended maintenance needed for your solution, or you can have us continue to maintain it for you. Either way, the first step is an exceptional landscape design that you will be proud of. Let our professionals at Ideal Landscape Services help you make the right decisions that will add beauty to your home while minimizing maintenance. Water Features can transform your backyard into a paradise. Who doesn't enjoy sitting by a stream or watching water flow from a waterfall. 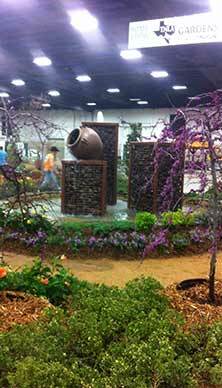 Water Features can be simple vases or a complete stream with a pond and even some pet fish. With soothing sounds of flowing water, a feature like this is sure to create an enticing setting everyone will enjoy. Add a patio and fire pit and your backyard can become a Zen garden. Let us help you find your Zen. We proudly serve Tarrant and Dallas Counties, and all of North Texas and the Metroplex.